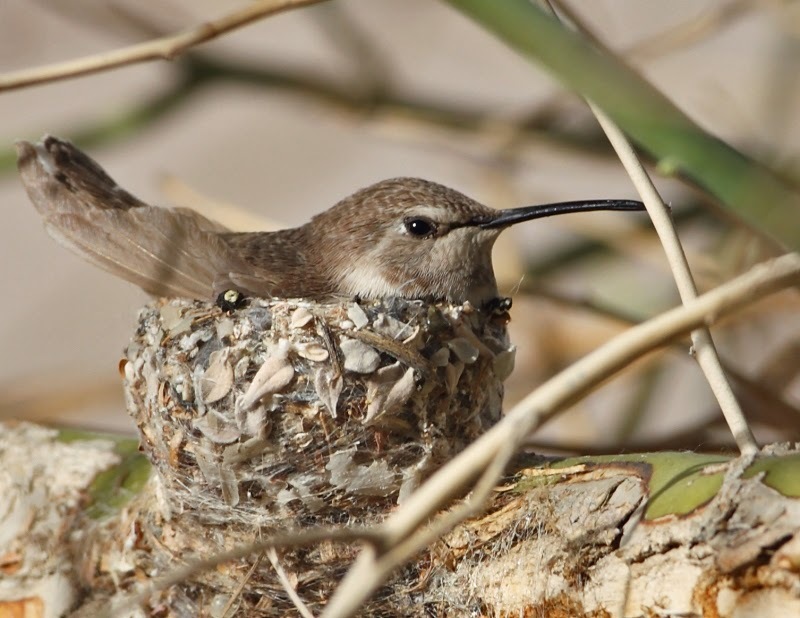 Steve Wolfe found this female Costa's Hummingbird on her nest in a garden in Henderson, Nevada. The female builds the nest entirely by herself in about four or five days. And how is this creation of leaves, lichen, and bark all held together? Spider webs! Listen to a BirdNote show about Costa's Hummingbirds, and check out an image of a stunning male. Check out a live hummingbird nestcam (of an Allen's Hummingbird).